Looks like a new(er) version of Kit Kat is rolling out. I hadn't heard of anyone who had received the OTA of the first built (KRT16O for my Nexus 4) yet, but it seems that +Ryan Lestage (a Canadian no less) is receiving his (private G+ post). I haven't received the OTA for my device (nor the Nexus 5 review device I'm using at the moment - but on the Developer's site it's still got an 'M' build). 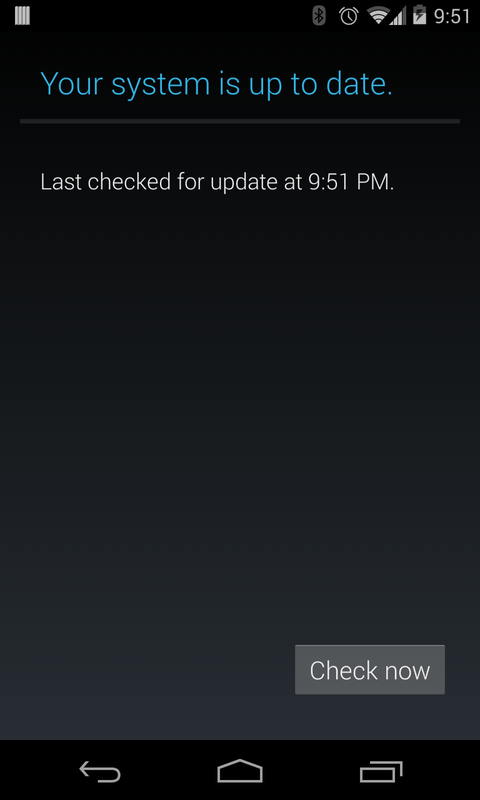 Check your system update now, or sideload again, like I showed you previously.